Enzyme Defense™ is an improved version of ViraStop. The enhanced formula contains a 60% increase of Serrapeptase (also known as Serratiopeptidase). The immune system is constantly challenged with protecting the body from environmental threats. Almost all of these threats have a protein component that the immune system must identify and then break down. 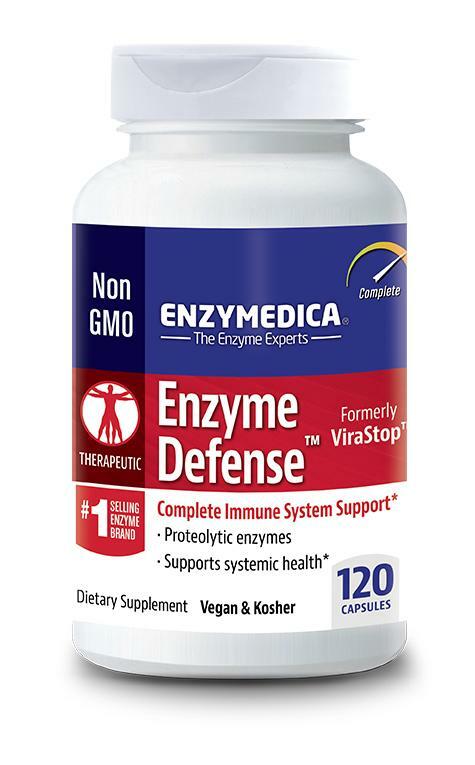 If a higher potency formula is desired, try Enzymedica’s Enzyme Defense Extra Strength. It is the same great product at double the strength of Enzyme Defense. Recommended Use: 1 capsule twice daily on an empty stomach, one hour before or two hours after a meal. Bli först med att recensera “Enzyme Defence” Click here to cancel reply.